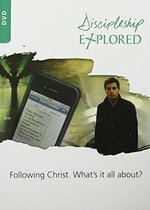 Dann Spader is a disciple-maker who has spent his adult life exploring what it means to take someone from being a seeker to making disciples themselves. Over 750,000 people in 80 countries have been trained to make disciples through organizations he has led. Through studying the life of Christ and His disciple-making methods, Dann developed 4 Chair Discipling, a simple picture for others to follow. Jesus' last words on earth had a few very specific instructions: Go, make disciples, baptize, and teach. But what does that mean for us today? Well, it's not easy. But it is simple. 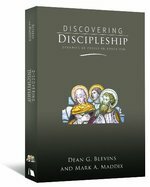 Teacher and leader Dann Spader explains disciple-making as a process of moving people through four chairs, from someone seeking to know more about Christ to someone who makes disciples themselves. In the process of His four-year ministry, Jesus realized that different people are at different stages of growth and development, and He works to challenge each of them to the next level. In 4 Chair Discipling, you'll get a clear and simple picture of how to follow in Jesus' footsteps and do the same thing. 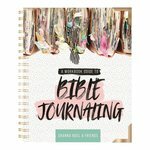 Written by Illustrated Faith founder Shanna Noel and her creative team, Bible Journaling 101 is an interactive, go-to guide for connecting faith and creativity. Shanna and her team share real examples from their own Bibles and demonstrate Bible journaling techniques, painting, handlettering and stamping, in a way that inspires the reader to fall in love with the Bible and draw closer to God. We are all interdependent on each other, which is why connecting with others plays such an indispensable role in healthy development. Having access to the wisdom, experience, vision, and direction of others can put you years ahead of where you'd be on your own. Mentoring relationships can be key to effective discipleship and evangelism. This book shows you how to do it effectively. Pentecost demonstrates that discipleship is a growing experience of knowledge, commitment, active love, and service. 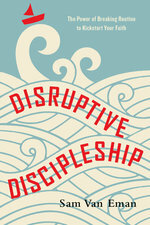 In this practical book, Kandi Gallaty helps you develop an effective disciple-making strategy in your life and the lives of others. Disciple Her is filled with Kandi's personal stories, more than a decade's worth of discipleship experiences, and most importantly, her commitment to the Word of God. Kandi doesn't stop at helping women understand what discipleship is--she gives them a practical game plan for weaving it into their weekly lifestyle, and teaching those they disciple to do the same. Disciple Her will be a point of reference for women to use time and time again in the years to come as women intentionally obey Jesus' command to invest their lives into others. We grow in Christ as we seek him together.